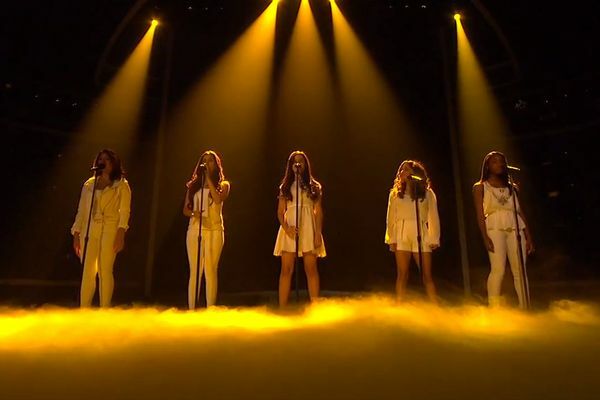 The X Factor Finale Recap: Wonderful, Wonderful Stuff We have a winner. The X Factor Recap: And Then There Were Three It’s time to face … the … hour of television that has .75 seconds of action in it. The X Factor Recap: The One Without Rachel You are not history’s greatest monster, Nicole! There are probably ten or eleven who are worse. The X Factor Recap: Witness the Most Excruciating Moment on Reality TV Nice job, Nicole. Way to punch a Muppet in the face. The X Factor Recap: Dave Holmes Reports From Inside the Theater You get the sense that the warm-up comic has one of those bombs from Speed attached to his midsection, and if there is a moment that doesn’t sound like a soccer riot, he will explode. The X Factor Recap: Let’s Re-Mangle Michael Jackson! Blanket’s in the audience for his dad’s “tribute,” and he’s not having any of it. 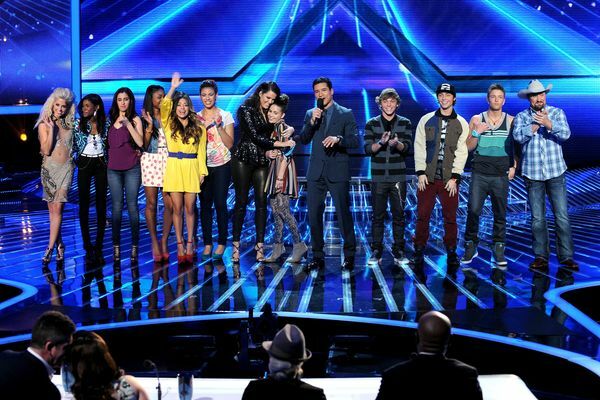 The X Factor Recap: Deadlock Graphic Tonight, The X Factor is celebrating Thanksgiving. 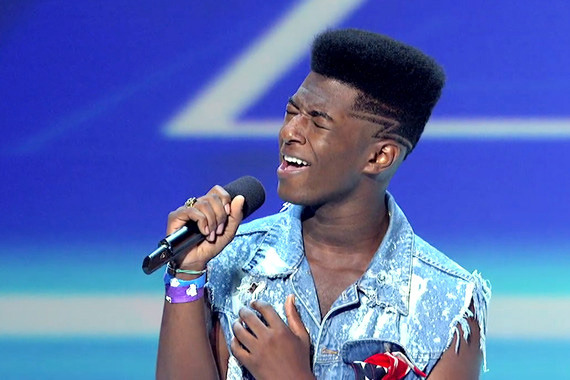 The X Factor Recap: Simon Goes In Astro does not take it well. 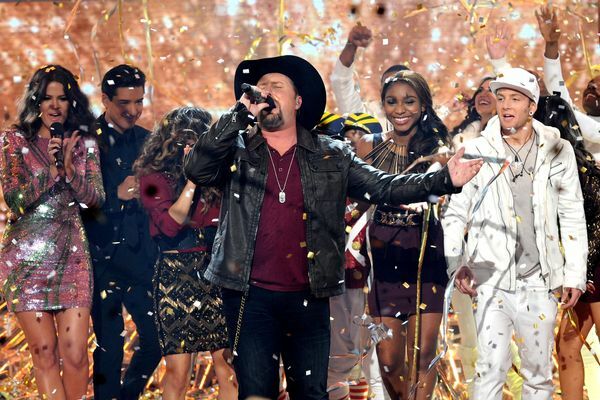 The X Factor Recap: Fantastic or Train Wreck It’s ROCK NIGHT. The X Factor: Every Second Is a Highlight What is the leather-catsuit age of consent in the state of California? The X Factor Recap: Whoops, the Judges Forgot It Was a Singing Competition Again! The judges almost completely ignore the noises coming from the stage, which were sometimes the wrong noises. The X Factor Recap: Seventeen Finalists, 32 Fake-Outs Simon and Paula have taught L.A. and Nicole the “I’m sorry to say … you’re not NOT not going forward” trick. The X Factor Recap: Wait! It’s Actually Starting to Get Fun! Still too long, sure, but this week we saw glimmers of what this show could be. The X Factor Recap: Rihanna, Pharell, and Enrique Iglesias Swing By for a Cup of Sugar The judges enlist a little help in the “pretending these people have talent” department. The X Factor Recap: Who Gets to Go to Paula’s House? The final 32 are announced, and those being teamed with coach Paula better be ready to take off their shoes. The X Factor Recap: Face the Wedding D.J.’s Music Holding auditions in Chicago means meeting thousands of people who’ve been asked to retake level one at Second City. The X Factor Recap: Dave Holmes on Joke Auditions and a Singing Ghost-Hunter ’The X Factor’ actually managed to surprise Holmes at least twice, and he doesn’t know how to feel about it. 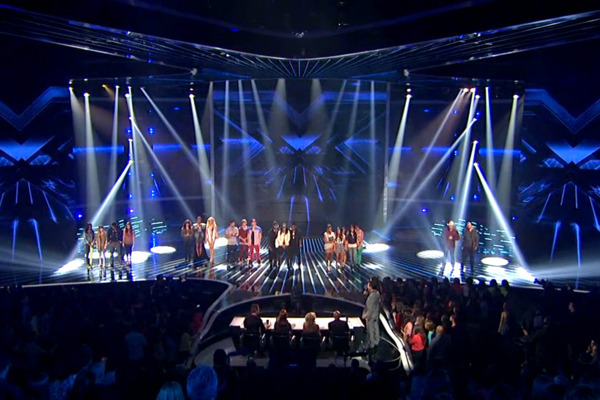 The X Factor Recap: And That’s a Wrap Simon Cowell, you stole two hours of our lives with the X Factor season finale. The X Factor Recap: It’s the End of the World and I Feel Drowsy You guys, The X Factor is almost over! 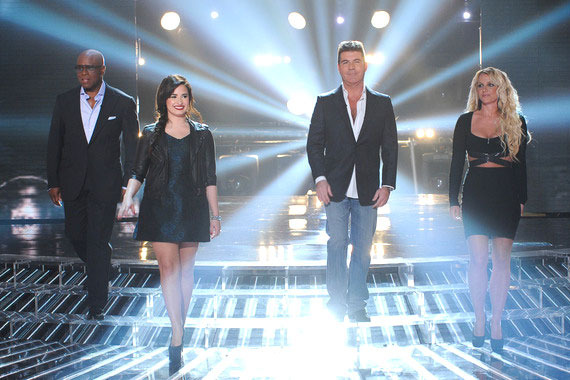 X Factor Recap: They Have Got to NAIL THIS ONE This show feels like a situation. A condition. A predicament. The X Factor Recap: Britney Does Not Approve A better host on a better show would have asked Brit why she gave the gas face. The X Factor Recap: Good Night, Sweet Princesses Once you have visited the X Factor VIP Tent, it is difficult to come back down to earth. The X Factor Recap: From the Belly of the Beast In which we watch the episode from the VIP tent. 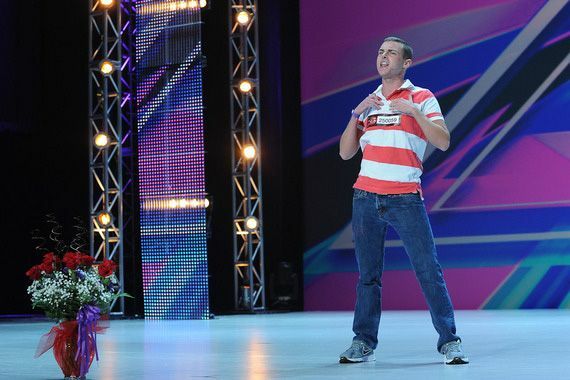 The X Factor Recap: Wow. Phenomenal. Between Mario Lopez, Khloe Kardashian, and Britney Spears, The X Factor is the world’s leading producer of fixed, joyless smiles. The X Factor Recap: Scream, Shout, Stall So we are down to our top eight here on The X Factor, yet the performance shows are still two hours long. The X Factor Recap: Thanksgiving Massacre We wrote this with an elephant-tranquilizer level of tryptophan still coursing through our stiffened arteries. 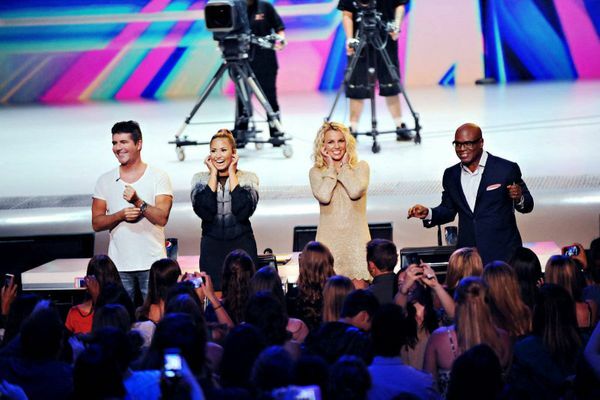 The X Factor Recap: So Grateful For some reason, there are two episodes this Thanksgiving week. 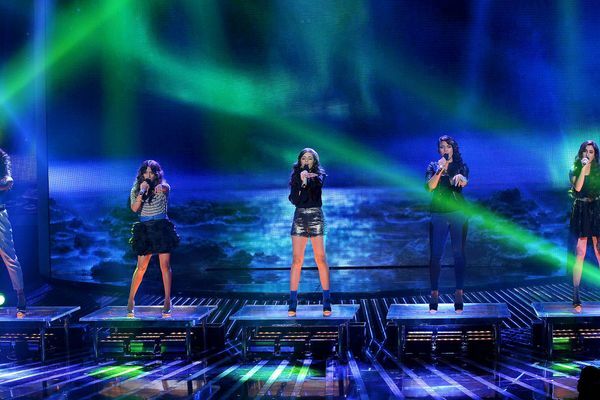 The X Factor Recap: Double Unhappiness It was a double elimination night, folks! The X Factor Recap: Decision 2012 The synopsis of last night’s episode read: “a number of contestants are sent home.” But how many? The X Factor Recap: Tank It, Bro Fate has never been kind to The X Factor, but in the last couple of weeks, it’s just been straight-up cruel. The X Factor Recap: Going Home Would Really Blow This is the episode, sort of, that we were supposed to see last week, but then baseball happened. The X Factor Recap: Home Visits It’s off to the judges’ giant houses. The X Factor Recap: Now We’re Getting Somewhere Last day of boot camp, y’all. 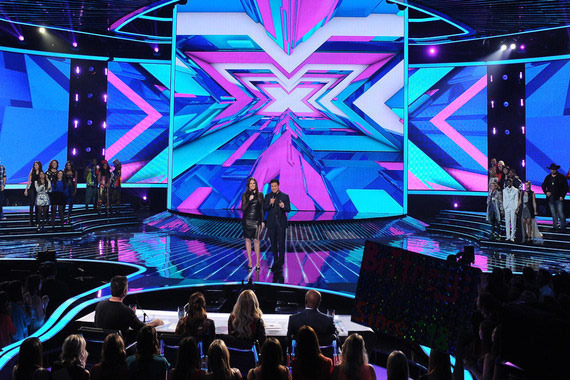 The X Factor Recap: Pairing Off At the beginning of last night’s episode, 60 acts remained. Sixty. 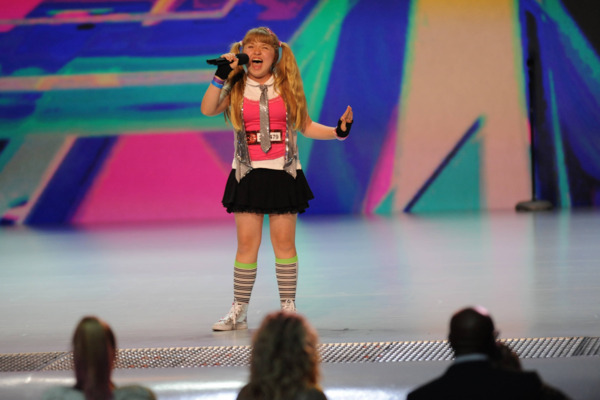 X Factor Recap: Sad Britney and a Missing Panda After what seems like twelve years, it’s time for BOOT CAMP. 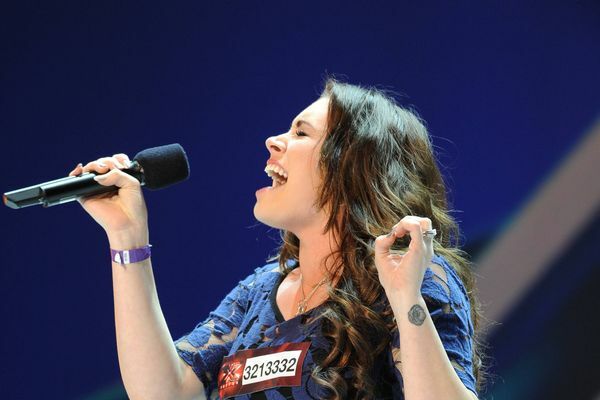 The X Factor Recap: Auditions Come to a Close Can it really be? The X Factor Recap: Britney’s Got Jokes They have to fill out episodes somehow. 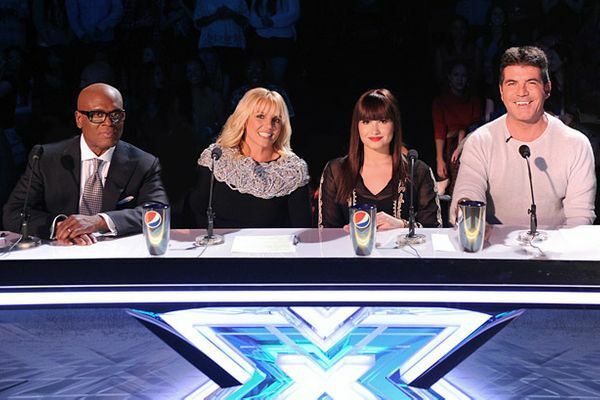 The X Factor Recap: Pepsi Ambassadors These early X Factor episodes are a tough slog. 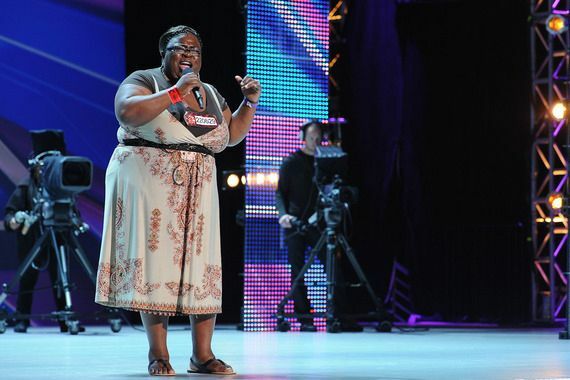 The X Factor Recap: Panda Has Pneumonia That didn’t stop her from singing amazingly, though. The X Factor Recap: Hot People With Bad Voices An endless parade of singers have pleasing faces but make terrible mouth-sounds. The X Factor Recap: And So We Begin Again They’ve made a couple of changes, in case you hadn’t heard.